Provides advanced computational technology for cutting edge aircraft preliminary design, computational aerodynamics, and multi-disciplinary optimisation. A boat owner have two main objectives, a fun experience when hitting the waters with family and friends and making sure that the boat is secure and safe when it is all alone at the dock. By combining state of art technology in the IoT space with an easy to use app and portal, we aim to make life both more fun and secure for the boat owner. Anymaker is a 3D modelling app, created to make 3D modelling available for everyone, especially children. It is not just a fun and exciting way for children to express their creativity but also improves their analytical and spatial ability. Bellpal is a watch with a fall detection alarm and positioning system for seniors and their caregiver ecosystem including relatives, care providers and senior homes. BellPal detects and prevents falls and enables personalized, preventative care improving the quality of life for seniors and their loved ones. With their innovation has created a paradigm shift in measuring footfall; how to translates anonymous smartphone signals into customer intelligence. The solution also serves as a platform for different app functionality as indoor navigation, shoppinglist, scanning etc. CLED is working on a series of new LED products for entertainment, advertisement and interior design markets. Our products are light and modular with a revolutionary user interface that allow users to manage thousands of different patterns with a user friendly software/app. Communications of Carl mission is to help people & organisations making search and rescue more efficient. Cribble develops spatial rotation training for children. A Swedish system technology company. We design and develop technologies that connect Internet to the physical world. We offer a proximity technology that makes any mobile phone, any on-line service and any IP based device to communicate in physical establishments. Entryscape using Linked Data technology MetaSolutions offer EntryScape, an information management platform. EntryScape is sold to customers in both public and private sector. Epishine is step by step enabling the most scalable, resource efficient and affordable solar cells in the world. Today we use the solar cells as wireless energy harvesters for power supply to sensors in the growing IoT market. Motorist are alerted at an earlier stage of the changed traffic situation giving them more time to safely plan their driving. Emergency vehicles will be spotted earlier so they can shorten response times and feel more safe while working to save others. 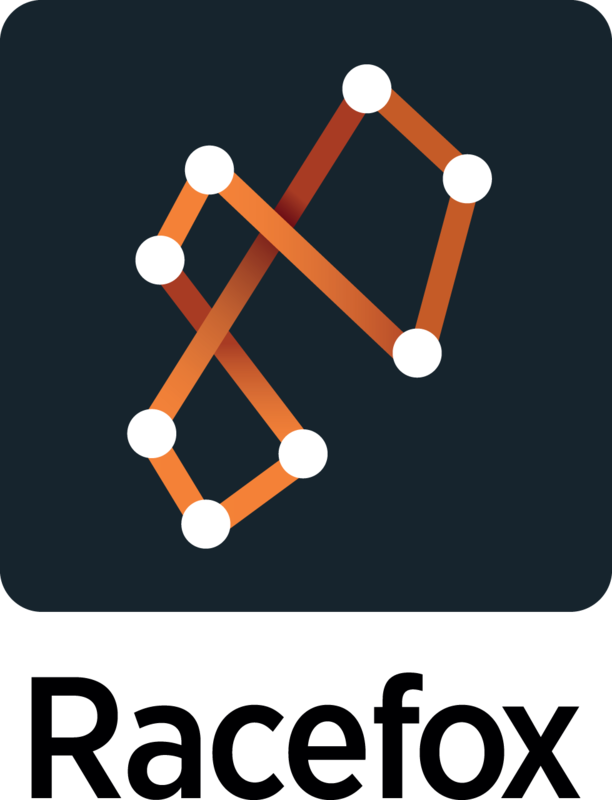 Evothings mobile app development tool is tailored for connected devices and IoT. With Evothings Studio, it is easy and efficient to create mobile apps for a broad range of connected devices. Exxentric based on scientific research, Exxentric develops, manufactures and markets smart connected strength training devices. We cater to the needs of customers in the sports performance, rehabilitation and fitness segments all over the world. Our flagship products are the flywheel training device kBox and the feedback system kMeter. Febtop develops and manufactures the coolest 3D printers with multi-functions. Our first product named iPLUSBOT which has extendable working volume and can do 3D printing, laser engraving, PCB milling and much more. Fi-Craft brings video gamification to Smart Cities using FIWARE technology. Decentralized video production and gamification of videos into educational learning games. Shortcut labs Flic is a button that shortcuts to your favourite smart functions that you can stick everywhere. FlowNeuroscience a medication free depression treatment based on transcranial stimulation (tDCS) and a behavioral activating app, TDC (Transcranial Direct Current)+app för behandling av depression. Gleechi specialized in making it easy for developers of games and virtual reality applications to animate hands that move and interact realistically. Our award-winning software technology VirtualGrasp™ is based on 8 years of robotics research and fully automates the animation process. HIAX provide a service for fast hardware development. Through a web-based service, anyone can design and integrate electronic circuits and systems. The user define the functionality of a system, and the HIAX tool generates a circuit design with all functions and relevant software integrated, as well as necessary CAD drawings. Complex designs are developed with speed and ease, and circuit boards can be ordered directly online. Modifications and updates are ready in a blink. All at a speed and cost the industry has never seen before. Hidn technology develops digital health solutions aimed directly towards consumers. The technology is hidden in ordinary things you would normally use and are then wirelessly connected to intelligent coaching health services that help people reach wellbeing through three steps. awareness. knowledge. action. IBaround combines marketing expertise with IoT to provide the Travel Retail industry players with the tools to optimize travelers’ engagement and conversion. IIOX offers an all in one solution combining consulting services and secure cloud-based Internet of Things platform for industrial and enterprise applications with several different and universally applicable functionalities for gathering, processing and presenting data in real time. Infrasonik are experts in infrasound and apply our expertise in highly innovative infrasound applications. We work with clients in various industries to help them reach their goals, weather it is to cool blanks in the automobile industry, to create heat in a barbecue or to reach complete combustion in a combustion chamber. We continuously identify new possible application areas for our technology and are passionate about realizing those ideas through partnerships with established firms. Aaservice for energy efficiency and temperature control in buildings that reduces heat use and increases comfort. Just like the lights are off in a an empty room we want to turn down the heat. We combine hardware, software, machine learning and new approaches to create our service. At Kusinta we believe new technology to be a way forward to create long-term sustainability and resource efficiency. 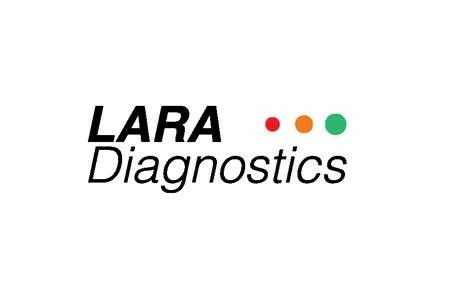 LARA Diagnostics AB develops a handheld medical device for quick, easy and quantitative assessment and screening of diabetes peripheral nerve injury (DPN). We aim to digitalize and quantify nerve diagnostics to improve screening, monitoring and decision support for a modernized diabetes care. Linkura continuously measure the health and stress level in your organization and adds measurable steps when needed. We have industry-leading results by combining the latest in research, technology and high-class coaching. LuminGo is a Smart Grid solution company adapted to the needs of unreliable grids in emerging markets. We offer a tailor made solution optimized for electricity distribution companies operating in areas with high frequency of power outages and slow speed telecommunication infrastructure. LUP Technologies creates a new information standard for truck freight with the vision that all logistical places are searchable via a LUP number. LUP's technology is used to collect, sort and present location information. Magnea is using advanced machine learning algorithms to measure and quantify movements like walking with a walker, traumatic falls or what side of the body that the patient is lying on. Capture all of your diagnostic information in one platform and make anyone an expert troubleshooter. Microtracking is a Big Data and IoT service provider specializing in sensor data. We are a B2B company and believe that IoT is all about information, and that is what we give our customers, key facts and figures to help them run their business. Our cloud service breaks new ground in actionable information, gathered from multiple sensors such as proximity, temperature, moisture RFID and Barcode, analysed and computed in realtime on our server and displayed wherever it is needed, turning data into decisions, fast and without any IT projects. Mind Music Labs MIND’s mission is to improve the way musicians and their audience interact through music. The team does this thanks to musical instruments and accessories that combine Stradivari’s acoustic tradition with digital and IoT technologies. The first product is Sensus, the world’s first Real SmartGuitar, offering guitar players infinite sound modulations and novel ways to reach and interact with their audience. MGW Experience 3D printing of advanced printouts in the finest of chocolates. Moggles is a portable headset (the name is a combination of Mobile and Goggles) that together with a hand controller and a smartphone makes it possible to experience the world of Virtual Reality. RTXD Solution keeps an automatic record of where you drive. It is a cost effective and battery powered driver’s journal. Using some smart sensors and a little bit of magic, a single charge will last for over 12000km making sure that you never miss a journey. Ngenic tune is a smart thermostat, an extra brain used to heat up your house. Ngenic tune saves energy and money for you, so that you can do something else. Is a Swedish innovation company that develops e-health systems based on unique artificial intelligence. We improve the lives of elderly people who need care security with great respect for personal integrity. Onacci is an application that enhances your web communication. Chat, share and discuss web content publicly or privately with other Onacci users, which can be your friends or other website visitors. Create and attach discussions to specific web content or search to join existing discussions. Ortrud Medical is a medtech company that develops a low-cost device that improves IV accessibility and reduces the number of failed attempts. Pej offers a mobile payment solution allowing you to go into a restaurant, take a seat, and both order and pay directly in the mobile phone. Quantified Planet is a foundation and global community for open data for people and planet. QP connects personal health to the health of cities and to the health of planet Earth. QP is now at beta development stage. Offices in Stockholm and San Francisco opened in March 2015. Quirkbot AB is setting out to transform the way we learn and relate to technology. We envision a future where human values such as creativity, curiosity and the empathic drive to help others are nurtured through making. We want to use technology to build a more human society. We believe that’s the whole purpose of technology. Racefox is your digital skiing coach that analyses your movements, finds your potential and takes you to the next level. Ralva Affärsutveckling AB is developing own business and others from a very early and young stage. With a positive and bold attitude we will fearlessly establish ourselves in the market. ScandInn develops a scalable motor with proprietary control system and mechanic. ServiceNode simplify service and maintenance. A smart service node is set up at the place where maintenance is performed and read by a smartphone when the job is done. All services are tracked in our smart web interface. Never again any question marks! Sharp#Soft vision is to supply the ultimate tool for providing security, integrity, and freedom for all types of information for human beings and things. Sharp#Soft represents a new way of ensuring information. With a security we believe is not possible with other systems. The security model is based on a decentralized solution. The model empowers users to define their own security without the need to trust anyone else. With Sharp#Softs security tools, companies can meet the ever-increasing demands for absolute security for information as well as in how the information is used and who owns it. Signality adds superpowers to any video stream or off the shelf camera so companies can understand, classify, and create valuable data from the video they capture. Single Technologies delivers the world’s fastest 3D video microscope. SoftAlarm develops and sells services for personal security and safety to consumers and corporate users. Sourcekid is an educational game for families, preschools and schools that empowers children to design and prototype toys. It’s made of an app integrated with a construction kit and a playground connectivity package. Stylaero works for the next evolution of human- computer interaction. Today Stylaero offers solution for controlling computers in new ways, like playing games with your toys or making pathology more efficient by saving motion data. Superblocks The Internet of Things Accessible to Everyone. Surfcleaner collects everything that floats on a surface with a brand new cleaning process. It is so energy efficient that it can be powered by solar energy. Surfcleaner cleans surfaces of debris, oil skimmer, heavy oil, algae and proteins. TANNAK INTERNATIONAL is an IoT company with its roots in monitoring of reindeer's. We develop state of the art autonomous solutions with stellar performance. Telkey Solutions develops and sells access solutions based on our patented technology called mTAC™ (Mobile Temporary Access Codes). The client creates virtual time keys in the cloud that are used to open areas - homes, cottages, offices, service areas, lockers, sports facilities. Tingeer aspire to evolve the way the world shop and produce consumer goods by using the latest in 3D printing technology and Cloud computing to seamlessly connect Consumers, Retail companies/Designers and 3D Printers. Tinymondo makes Marketing Automation easy to use by companies of any size. We went down to basics and stripped all the unnecessary features and focused in what customers actually use. Then we wrapped it all with a killer customer profiling and a sweet interface that anyone can use. The result? Companies that close deals faster and easier. Tölve is a team of data scientists and statisticians, challenging the lead generation industry. We combine machine learning, statistical techniques and text analysis to create a unique algorithm for each company. This algorithm predicts which leads are most likely to generate a successful sale. Trivsa makes our cities more fun and greener. Our Bikify Us app is an innovative solution to promote cycling and develop local communities. We won the Stockholm Startup Weekend contest, graduated from STING Startup ICT program, and are now in the Speed UP Europe Accelerator. Unibap is a supplier of world class, safety critical vision processing solutions and rapidly moving into intelligent visual perception solutions. Our unique platform deliver unmatched safety critical computing performance for artificial intelligence and sensor fusion methods to detect, recognize, and describe behaviours and activity seen by a plethora of advanced sensors. Vantagist develops nimble software tools for advanced data science workflows on large datasets and geospatial data in particular. Its visualization technology speeds up insight and analysis generation for customers by enabling interactive exploration of large datasets. Vinden store and handle peoples’ and businesses’ things. We pick up, store and return whenever it suits the customer - naturally the customer only pay for the space she uses. No longer have a need for the thing? We will sell, recycle or donate it for the customer, directly from their storage. Volumental scans your body using mobile devices and use the body data to create customized products. Winteria supply a complete solution for quality assessment of manufacturing processes such as welding, cutting and bending. Wittra is a technology for positioning in the Internet of Moving Things. The key issues that Wittra® solves are indoor positioning and minimizing the power consumption for positioning outdoors. By utilizing specific ISM frequencies together with patented positioning solutions, Wittra® can track items kilometers from a base station with very low power consumption and outstanding accuracy. Additional technologies, including Wi-Fi and Bluetooth Smart, ensure compatibility with existing infrastructure. For remote areas, positioning is enabled with GPS. Worldfavor helps companies improve and communicate their sustainability efforts, and in the same time equips individuals with awareness to make conscious decisions and a channel to influence. Our database allows for analysis of sustainability data for multiple stakeholders. XCC is the only CAD configurator that lets you automate repetitive tasks without limiting the freedom of the design. This enable you to configure complex products that traditional configurators only could dream of automating.